GET HYPE!!! 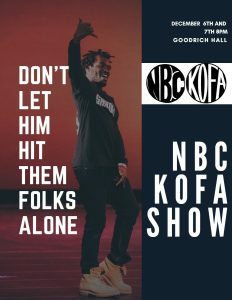 NBC/KOFA SHOW IS FINALLY HERE! Come through for a night that will blow your mind! Thursday, December 6th and Friday, December 7th, 8 pm, Goodrich Hall.